INDUSTRY.co.id - Jakarta - In order to revise the BBM One Price policy, PT Pertamina (Persero) has realized 42 BBM Distributorship Institution up to the second week of December 2017 from target of 54 channeling institutions. With the addition of this fuel dealer, people can more easily enjoy the service of BBM One Price according to Presidential Regulation. One of the homework to look for is the presence of retailers, or sellers outside Pertamina's authorized dealer. Where, the selling price of retailers cannot be controlled and tends to gain multiple benefits. In this case the role of local government is vital in regulating, overseeing and preventing retailers from not buying fuel in quantities that have an impact on shrinking supplies at fuel dealers. As a result, fuel prices can be expensive in an instant. 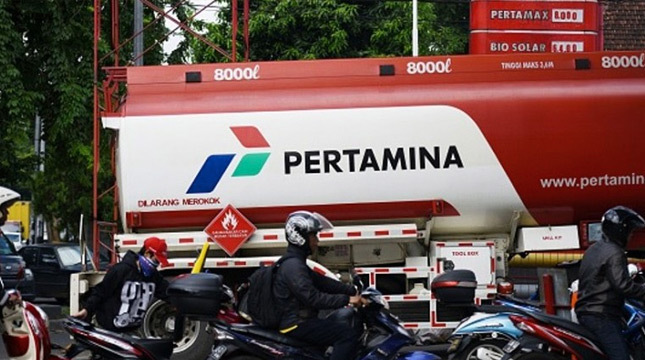 Unit Manager Communications & CSR PT Pertamina (Persero) Marketing Operation Region VIII, Eko Kristiawan said, efforts to minimize the scenario, taken Pertamina by maintaining the supply of fuel at gas stations that became the location of the BBM One Price program. For example in Yahukimo, until now the distribution of fuel territory was never interrupted. That is, the volume of fuel for the community there is very adequate. "Especially for the Yahukimo, shipping using the ship with a supply point from jobber timika, the last few months the SPBU compact add fuel storage facilities so it can load more fuel then never again there is a vacuum of fuel at gas stations Compact," said Eko through press information to the media , Tuesday (19/12/2017). Last stock position is ahead of Christmas and New Year 2018, reaching a very safe level. For premium fuel and diesel fuel, it is enough for the next 20 days if compared to normal sales average. Fuel distribution from Timika to Yahukimo use barge and tug boat. If the condition of the waters is normal, the journey takes about 5 days. But if the river water discharge recedes, delivery can be delayed up to 14 days. "Despite the difficult terrain, Pertamina continues to commit itself to providing the best service to maintain energy security throughout Indonesia," Eko said. To succeed the BBM Satu Harga program, Eko emphasized the need for support from government officials and local government. Especially regarding the supervision of the implementation of the noble program launched by President Joko Widodo it. So that Papuans can get BBM at affordable prices. "In addition to realize the principles of social justice for all the people of Indonesia," said Eko.